Intel has announced what it considers to be a breakthrough in structural design for Ultrabooks and possibly other portables. The chip maker claims it has engineered a plastic chassis which rivals the solid aluminum unibody case designs made popular by Apple -- a continuous aluminum frame machined from a solid block of metal. The new plastic chassis are expected to be a fraction of the cost and "equivalent in quality" to existing die-cast and machined aluminum frames. As a result, Intel believes the technology will perfectly mate with Ultrabooks, a class of laptops which aim to be unusually thin and light, yet maintain an experience significantly closer to using a full fledged laptop than the typical netbook offers. Although Intel doesn't expound upon its somewhat remarkable claim, the company says the new frame design is the result of "structural reduction analysis". Intel told Reuters that its new design relies on existing materials can be produced using common manufacturing techniques. 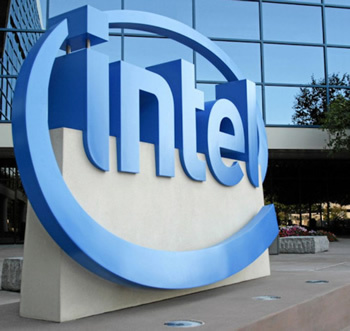 Consequently, Intel believes the improved chassis design may cut the cost of Ultrabooks between $25 to $75 per unit. Intel appears to be taking cues from the aerospace and aircraft industries who are always striving for lighter but stronger materials. Reuters points out that Intel currently employs a number of former Boeing engineers, individuals who actually work on the R&D team responsible for the discovery. According to the brief PR post, Intel will be sharing its new tricks with OEM partners soon. The company expects the improvements to make their way into production machines some time next year.